The World is my Platform…Educating Teachers and Students is my Passion…C-STEM is my Vehicle. If you are reading this, you are perhaps an educator, a professional or a parent. You are perhaps searching for ways to incorporate STEM into a time-constricted curriculum that generally does not include these disciplines. If you are looking to incorporate STEM into your curriculum, it is certainly wonderful that you are teaching your students these important subjects. When students are introduced to STEM, especially at an early age, there are many opportunities to make STEM enjoyable and engaging. 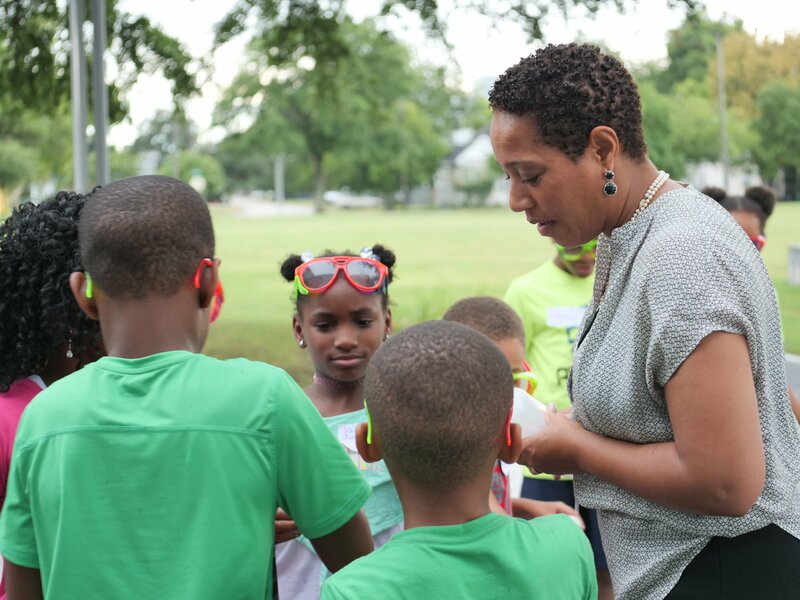 Through Dr. Reagan Flowers’ C-STEM pedagogy, educators and other individuals alike can use communication creatively with, engaging and interactive lessons that help promote curiosity and a love for learning about science, technology, engineering, and mathematics. Students tend to disassociate and have negative perceptions about these disciplines later on in their educational careers because the subjects become intimidating. Through C-STEM pedagogy, educators and professionals are encouraged to use creative ways to help stimulate a child’s natural sense of curiosity to help them continue to learn more about STEM. The future of the world depends on brilliant and curious minds to help obtain advances in STEM. Dr. Flowers hopes her philanthropy inspire students to select a path that will assist them in becoming the next generation of STEM professionals because society needs these professionals to make the world a better place for the future. This is why Dr. Flowers continues her work in making STEM more accessible to all students regardless of gender, socioeconomic and cultural background. If you believe in such a mission, you will find no better an expert to seek guidance than Dr. Reagan Flowers. With the help of the contributions of generous entities, including individuals, corporation, and other prominent organizations, Dr. Flowers has been able to provide students of all backgrounds the opportunity to flourish in STEM fields. If you would like to assist Dr. Flowers in her mission to provide to all access and tools to succeed in STEM, your generous financial contribution will be much appreciated. Make a Donation to C-STEM Today!